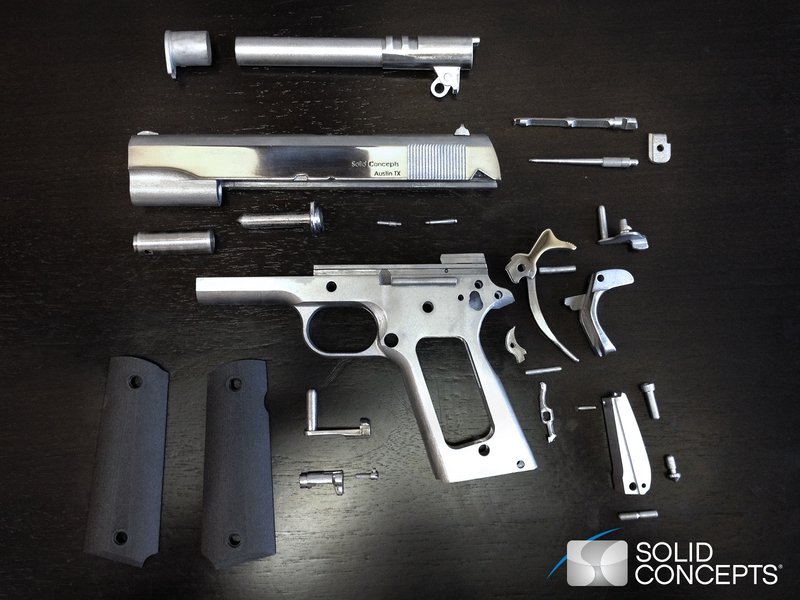 A few months ago, firearms manufacturer Solid Concepts announced it had produced the world’s first 3D printed metal gun. Now, the cutting-edge firearms company is ready to put one hundred of their M1911 handguns on the market. For $11,900 you can own one of the 3D printed 1911s’, made of Inconel 625 (a nickel-chromium alloy) and stainless steel. Through a process known as Direct Metal Laser Sintering, metal layers are able to be fused onto each other until the final product is complete. The M1911 prototype has faired extremely well in testing, only malfunctioning once through almost 2,000 rounds. What makes this even more impressive is that the prototype is the least strong form of the handgun. Sights: Standard GI with square notch rear.